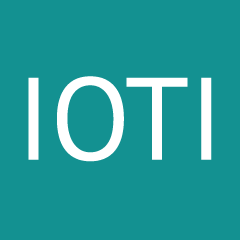 IOTI has the organizational depth, unmatched customer service and advanced product quality to be your best accompanist. What makes our products and service the best is the unmatched technical depth and breadth of our in-house team. The quality and redundancy of the overall team is paramount to the delivery of a world class product, extreme service and exceptional reliability and longevity. IOTI’s depth of support, technical capabilities and commitment to extreme customer service extends far beyond the surface. With an experienced team of engineers, implementation technicians, support staff and vendors, an IOTI team member is always available to assist with any need you may have. We even provide cell phone numbers to ensure true “extreme” support anytime, anywhere. Integrated Organ Technologies brings modern technologies and manufacturing processes standardized and widely adopted in other industries to the pipe organ. Not only is the Virtuoso the most feature-rich and up-to-date pipe organ control system currently available, but its fundamental architecture will be upgradeable for as long as there is an electronics industry.